This is the neat park just a few steps away from my new listing at 3519DePassier.com It’s a 1986-built 3 bedroom, 2.5 bath home that is nicely done inside and out! I’ll be there on Sunday between 2-4pm! This is out at Bay Farm….head out on Island Drive and at Mecartney look for my signs….straight on Island then left on Fir! Keep watching for my signs! BOOMER CHICK MUSINGS my take on what is happening in my small little world these days…. The Shredding Party was a success! I’ve tried to keep track of who comes, but I can’t. All I know is that the folks who show up, walk away with their head a bit higher and their shoulders relaxed. Everybody says how much of a relief it is to know they gotten rid of their stuff, safely. Pretty soon, we won’t have much paper! I’m thinking of having an electronics dump next year…..hhmmm. And thanks to all who contributed to Alameda Meals on Wheels! What a fun morning! When you buy in Alameda, sometimes the property is part of a Homeowners Association. That’s okay…but I tell everybody I work with that they need to be involved in the HOA! Yes, the condo, townhome, or house is a member…but the owners need to take on the membership too! The upside of involvement…is you are informed. You probably have a different view from the others on the Board of Directors. You learn to understand what the property manager of the association does, or does not do. You have a sense of what goes on behind the scenes. The downside of being involved…it takes some time. But if you want to know what the Board does…get to the meetings. Find out what they do or don’t do! You could be surprised (either way)! You are part of a larger group, but just a few folks make some critical decisions and put them forward for the association to vote on. Look at it this way….if you don’t belong to a HOA, you are the President, VP, Treasurer, and Secretary of yourself! If there is maintenance that needs to be done…you’ve got nobody but yourself to blame! Most people do take an active part in the HOA they belong to… and often they don’t do it again! But if you choose to be informed, you will pick up tidbits of info that may help you and your neighbors to make smart decisions…rather than just voting ‘no’ to every vote that involves spending money. I put a new listing on this week…see above for details…and check out the listing to the right. Broker Tour Tues! Didn’t get to all of them, but I did go via car…will catch up with some of the others over the weekend. 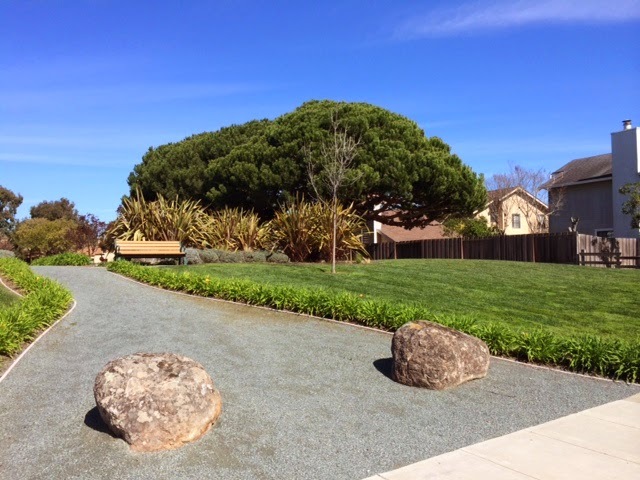 ALAMEDA REAL ESTATE AWARDS THIS WEEK…remember this is only my perspective! Bang for the Buck this is a good-sized condo…close to Park Street! That’s a wrap! Thank you so much for your referrals to the great vendors you use; and for offering my name to your co-workers, neighbors, friends, and people you do business with! I so appreciate it. Next Post Next post: How’s Your IQ on the QM?